I was told I am a glaucoma suspect. What is glaucoma? There are typically three things that make up the diagnosis of glaucoma: high pressure in the eyes, which over time can cause damage to the optic nerve in the back of the eye, and when you have enough damage to the nerve, it can affect your peripheral vision, potentially all of your vision. How high is high pressure? “Normal” intraocular pressure (IOP) is considered to be under 21. In the past, if a patient had an IOP over 21, they were immediately labeled a glaucoma suspect. We know better now. While the IOP is an important risk factor in glaucoma, and lowering it is the only way we can control glaucoma, it is not glaucoma. There are many people who have an IOP over 21 who do not have glaucoma, conversely, there are many people with IOPs under 21 who have glaucoma. 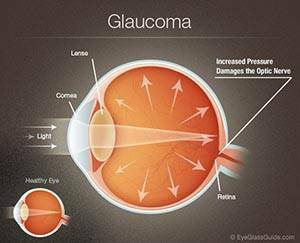 Glaucoma is progressive damage to the optic nerve, typically caused by elevated pressure in the eyes. The optic nerve is the plug that connects the brain to the eye. Depending on the condition of the nerve, sometimes even a low IOP is too much for the nerve so it becomes more damaged. A: Whenever there is anything wrong with the body, a doctor looks at two things to determine what’s wrong: how the body part looks (its structure) and how it works (its function). So for example, if you break your leg, the doctor takes an xray of the leg to see how it looks, and has you walk on it to see how it works. For glaucoma, testing is geared towards assessing the optic nerve. There are instruments such as an HRT or OCT that tell the doctor how the nerve is built, and peripheral vision testing to tell the doctor how the nerve works. Unfortunately, we can’t cure glaucoma, we can, however, control it. All treatment is geared towards lowering the IOP enough to slow down or stall the progression of damage to the optic nerve. 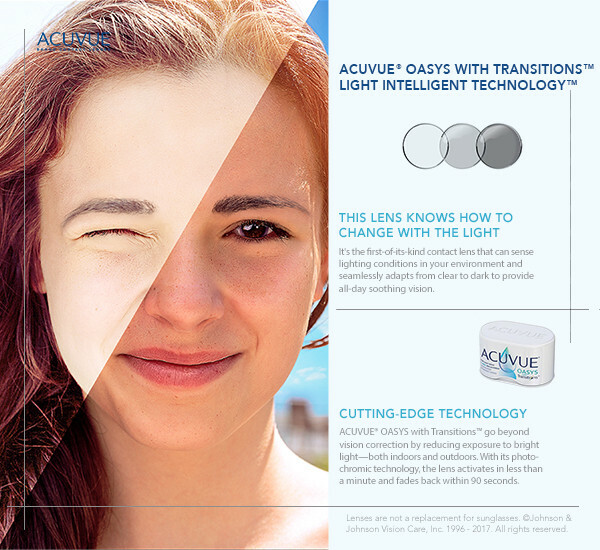 Initial treatment typically involves the many eyedrops on the market that can lower the IOP. Most of them come in generic options so the price has come down significantly over the past decade. Different drops work in different ways so sometimes you can get an additive effect by using different types of drops together. However, if drops aren’t enough there are laser procedures available and if that’s not enough, there are surgical procedures, although those are usually reserved for the most difficult cases.